While 2,000 plus Easters have come and gone, has he really risen yet? Risen within us that is? I hope and pray that each of us will let Christ rise and shine through us, so we can allow him to use us to bring about a change that we are all yearning; a world where all of God’s children are respected and honored. Anti-Semitism, Islamophobia, Misogyny, Racism, Homophobia, xenophobia and other ills are preventing us from realizing the elusive dream of kingdom of heaven on this earth. Maybe he wants us to take on the task with his blessings. May the Golden rule be our guiding light, “Do unto others as you would have them do unto you” (Matt. 7:12). Indeed, we will make the effort and he will be with us every step of the way. The Anti-Semitism expressed in the form of hatred for Jews is as old as Jesus’ existence on the earth. The time is long past due to reconcile our differences and create a cohesive world where no human has to live in apprehension or fear of the other. Jesus was a rebel Jew. He went against the norms and traditions prevalent at that time. The punishment for such acts was to hang him high in open fields, indeed the Romans asked the Jewish community what to do with him, and they prescribed the cross, so he was crucified. They did not hang a Christian; they hung their own man who was a Jew. If Jesus had not been crucified Christianity probably would have never come into existence. It was his disciples that were first called Christians in Antioch as they spread Jesus’ message and his resurrection (Acts 11:26). But over time Jesus’ message of death and resurrection, his message of hope and deliverance, and his message of forgiveness was lost to our own egos and thus anti-Semitism spread. 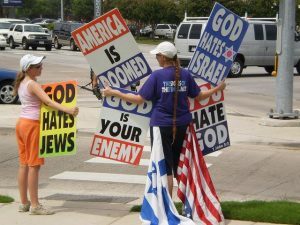 It was difficult to watch little kids’ holding placards “Christ Killer” and I have watched Pastor Fred Phelps of Westboro Baptist Church and his minions demonstrate their hate towards Jews and others. 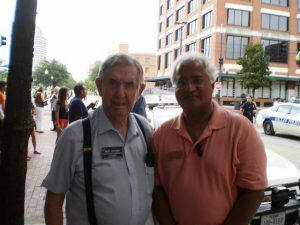 I have stood with Jews at the Holocaust Museum and pulled together the Holocaust survivors and prayed – to forgive Fred Phelps for he knows not, just as Jesus forgave those who knew not. I marched to seven different Jewish places including Synagogues, Jewish Schools, and Jewish Post and of course the Holocaust Museum. The sparks of Anti-Semitism flare up causing tensions, they are not going to die, until we face them squarely and not blame the Jews for what happened to Jesus. A majority of Christians understood the message of the man from Nazareth, they believe that the key components of building cohesive societies are forgiving and loving others. However, it saddens me that a few did not get that message and have never learned to love their neighbor and enjoy the benefits of tranquility and peace of mind that comes through forgiveness. The world needs to squarely face major conflicts between Jews and Christians (Crucifixion of Jesus), Muslims and Christians (Son of a God v. the Prophet), Jews and Muslims (900 Jews were executed per the Jewish tradition) and Hindus versus Christians and Muslims (Conversions) and Native Americans v. Christians (Conversions). We have allowed these resentments to tear each other apart, how irresponsible is it to keep passing these conflicts to next the generation. It has to stop and we have to leave a better world for the next generation than pass the problems to them. If we can learn to respect the otherness of others and accept the God-given uniqueness in each one of us, then conflicts fade and solutions emerge. We believe knowledge leads to understanding and understanding to acceptance of others. At the Center for Pluralism we appeal to the humanity in each of us to understand the message of Jesus and remove the ill-will, resentment and hatred for each other. 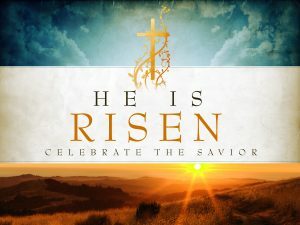 Let’s rise with a new mind set on the occasion of Easter. Happy Easter, let this Easter renew our spirits. As a Muslim, I have been participating in Easter and I urge fellow humans of all faiths to at least join our Christian brothers and sisters on Easter and likewise participate in the Passover Seders with Jewish families. You don’t have to worship what they worship, but you can be there with them to honor them for whom they are. As fellow members of the family of faiths, we can all practice reconciliation and forgiveness as Jesus would if he were here today. 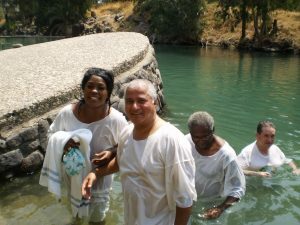 Mike Ghouse and his spiritual Sister Dr. Karen Hollie Thibodeaux were Baptized where Jesus was Baptized once. It is an incredible feeling of renewal that is hard to explain. The Baptist Minister gracefully added Allah to the script while dunking Ghouse.